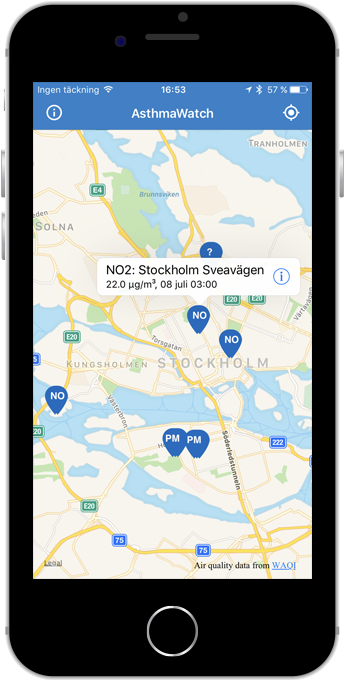 The AsthmaWatch app displays real time and historical values for a number of air quality parameters such as PM25, PM10, NO2, O3 from environmental sensor aroudn the world. In addition to the air quality sensors several relevant climate measurements are also displayed. 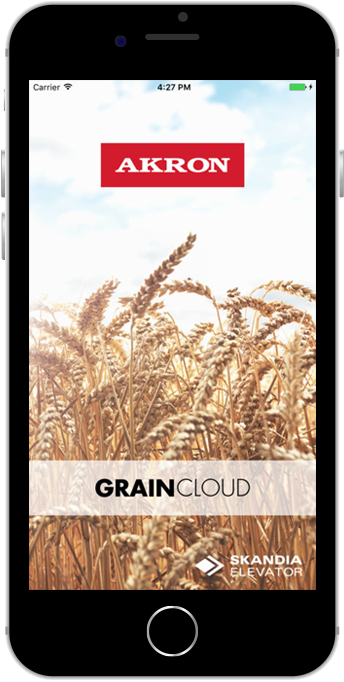 GrainCloud provides farmers mobile access to their post-harvesting and grain drying system. At any time they can check the status of their facility and the on-going transport and drying processes. It is a Farm-In-Your-Pocket solution that makes the farmers Life much easier. 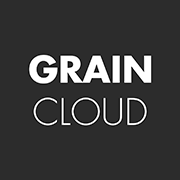 GrainCloud is available for free download on App Store and Google Play. The LinkWatch app allows patients to measure a number of different vital signs at home and on the move. 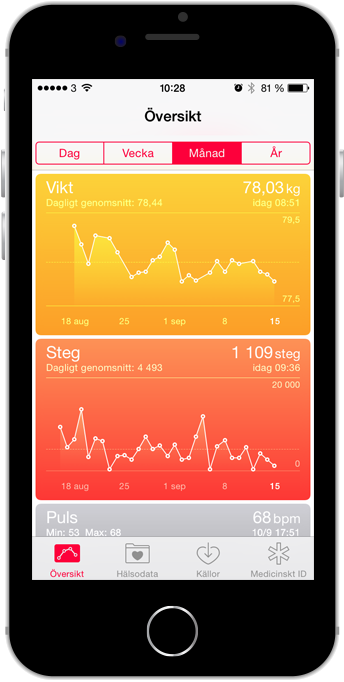 The LinkWatch app works with Apple HealthKit and can use any HealthKit device. It also allows to export the measurements to any clinical portal for analysis. It uses the Continua WAN protocol for data exchange. The Termado app is an ontology based tool for searching large scale professional vocabularies. Full support for multilingualism is provided. Termado was recently adopted by “Svenska Biotermgruppen”, administering terminology in the field of life sciences, and is available for free download on App Store and Google Play. The Boso app connects with a Boso blood pressure monitor and allows the user to track his/her blood pressure over time. The app is available for Android. The Nutrition app allows diabetes patients to keep track of their carbohydrate intake every day. The app contains access to a large food item database. The app is available for Android. The IoT Browser app discovers and displays available IoT Resources in a local network. 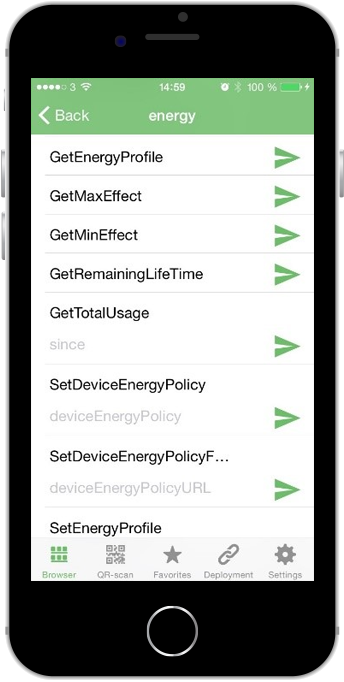 The services of the IoT Resource are extracted and can be invoked from the app so lights can be turned on/off, temperatures read, coffe brewers started et c. This app is available if you are a TestFlight User. Download and install TestFlight, then contact us. 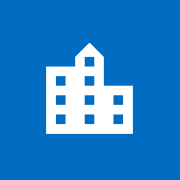 WebHybris is an app for critical infrastructure monitoring. It shows infrastructures like bridges on a map as you drive by or zoom in the map. It integrates the map with existing business system like a maintenance database and overlays relevant data on the map. The Triage app is an experimental app that is intended to be used by emergency and first responder personnel in the field when a catastrophe has occurred like earth quake, fire, chemical explosion et c. The app allows healthcare professionals to make a first assessment of the health status of different victims in order to priorities rescue operations. The app is available for Android.